Kitchen renovations can provide the most value for homeowners. This space is the most complex room in the house, and it relies on a number of different elements to provide an ideal environment for all of life’s activities. If you are considering a new look for your existing cabinets, it can prove a smart choice to invest in cabinet refacing services. Keep in mind that enhancing your current system will require you to look at upgrading other surfaces, including your countertops. Detail Design & Remodeling is here to deliver the best results to homes across Atlanta, relying on our cabinet refacing expertise to save homeowners a lot of time and money while providing a quality outcome. Our home remodeling contractors have the training and experience to create top-notch results that you’ll love on a daily basis. It’s important to consider how your countertops will match up with your refaced cabinets, which is why we will continue discussing different counter materials to choose for your ideal kitchen design. If you’re ready to get started, be sure to call our team to schedule your in-home consultation! Since the time of the Romans, we have relied on concrete to create rigid structures that allow for the formation of buildings, bridges, and roadways. Concrete can also be utilized as a countertop material, providing the proven strength and resistance needed for many busy kitchens. You can create a customized look relying on the beautifying results that concrete can provide. Beyond regular sealing, you can live life without having to worry about your concrete countertops. There are multiple coloring techniques to customize concrete countertops, allowing homeowners to order an impressive range of finishes. You can match your kitchen cabinet refacing with concrete in white, blue, red, gray, yellow, and more. A mainstay in kitchen design, granite countertops can deliver proven beauty and unique patterns that can enhance the value of a home. 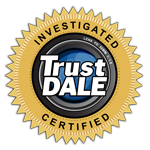 Granite defends well against scratches, cuts, and burns, and can last for years when the proper care is taken. Your installation will result in a one-of-a-kind finish that can be enhanced by matching or contrasting with cabinet refacing services. 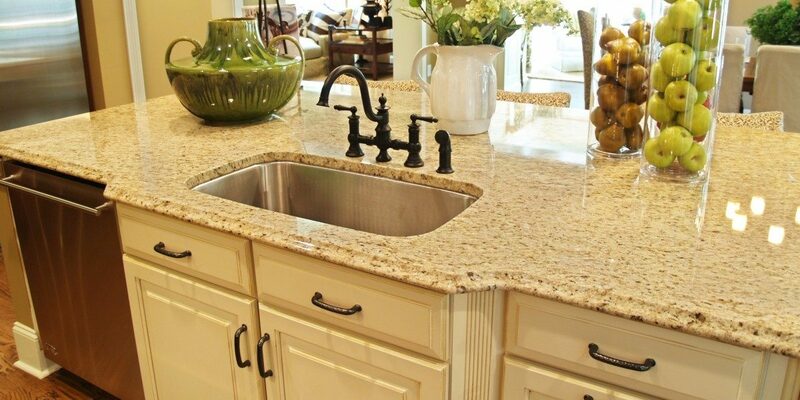 The one well-known drawback to granite is that it requires annual maintenance for the best results. You can rely on your local home remodeling company to provide guidance on proper sealing measures and frequencies, as well as general care to minimize the risk of damage. While many homeowners rely on wood for flooring, some have relied on the classic warmth and beauty of this material to create a durable surface for cutting and preparing meals. Wood countertops provide comfort for any kitchen, providing easy repairs for any damages sustained. Since wood is a more expansive material, extra consideration will need to be taken in order to keep it protected from damage. You can find a variety of wood species available for countertops, coupled with numerous oil finishes for an added shine. Keep in mind that the type of wood utilized will play a large role in the cost, as prices can range between 30 and 300 dollars per square foot. Our custom woodworking pros can provide additional assistance. Often referred to as engineered stone countertops, this material differs from natural stone in that it is comprised of quartz crystals bonded by a resinous substance. The result is a composite surface that is durable and ready to perform in any environment. Homeowners hoping to avoid sealing their countertops regularly can elect to invest in engineered stone for reliable results. You can find a range of colors available for your quartz surface. Typically, this blend provides a two-tone finish, ranging from cream and beige to grey and black. You can also find singular colors in gold, blue, brown, green, and more. Your kitchen’s countertops can make a big statement in the overall style of your home, and it’s important to find the right material to match your design and budget. It’s also essential to ensure that your new countertops will match the rest of your kitchen. Since the cabinets take up a majority of any kitchen’s walls, it’s important to find the right fit for a truly memorable outcome. Detail Design & Remodeling is here to provide an ideal outcome for your home improvement project. We specialize in cabinet refacing in Atlanta, and can deliver complete results for projects of all shapes and sizes. Contact us today to learn more, and be sure to schedule your free in-home consultation to get started!